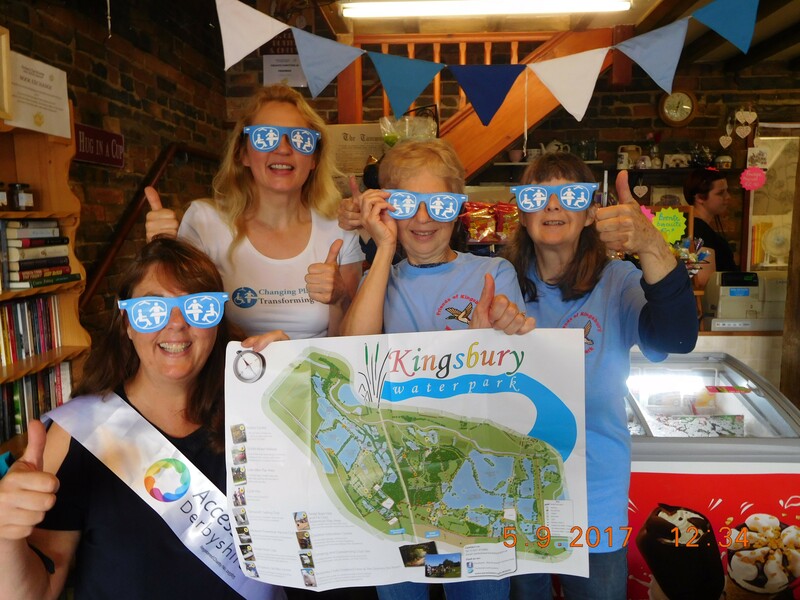 March 2019 ... Now six years on from the formation of the Friends of Kingsbury Water Park (FoKWP) group; our website has been up and running for five years. The Friends of Kingsbury Water Park welcome any new members to their next meeting, at 7pm in the Education Centre of the Water Park on Wednesday, May 1st 2019. Like most voluntary groups we have lots of ideas and enthusiasm, but a shortage of funds to see them all through. Nevertheless we have seen a few projects launched and many completed; with others are still ongoing. Changing Places Toilet (initially a temporary facility to determine need & usage; then hopefully a permanent one). Bags and litter pickers provided, bring your own gloves. 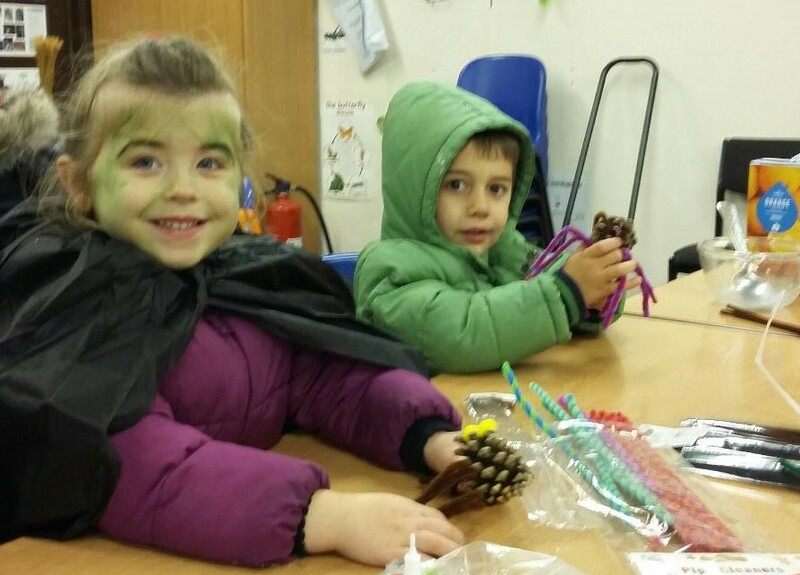 Decorating biscuits & making scary spiders was just a part of the Halloween fun at Kingsbury Water Park on Saturday when adults & children arrived to take a spooky ride on the Echill's Wood Railway's Ghost Train. The young people produced an amazing array of spiders and some delicious-looking biscuits (which were all eaten pretty quickly!). Needless to say, the adults didn't get a look-in on the biscuits but at least they got a chance to come inside for a 'much needed' warm up!! Changing Places Toilets are essential for up to 250,000 people in the UK to enable them to travel and visit places for a day out. There are now over 1,100 in the UK. Kingsbury Water Park now has one at Broomeycroft but we also need one for the main side of the park. Please support our campaign for a second Changing Places Toilet. 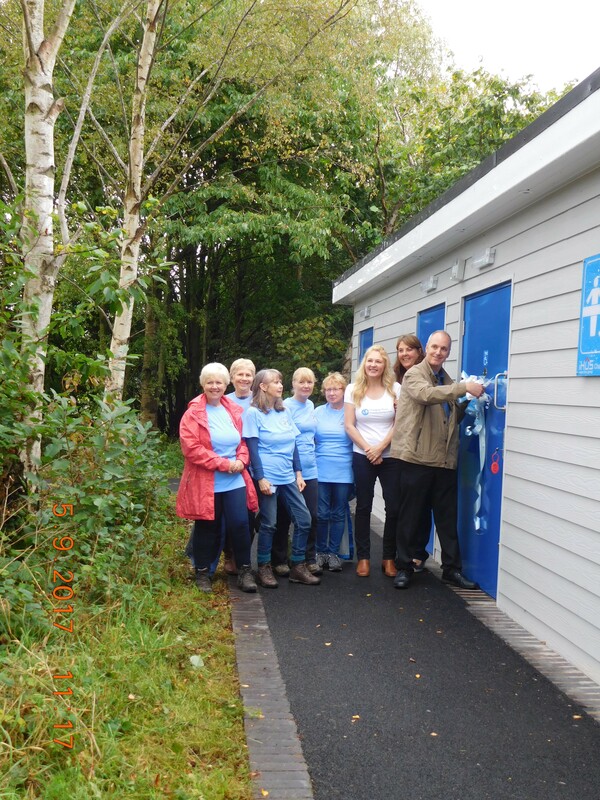 Official opening of KWP's new Changing Places Toilet. 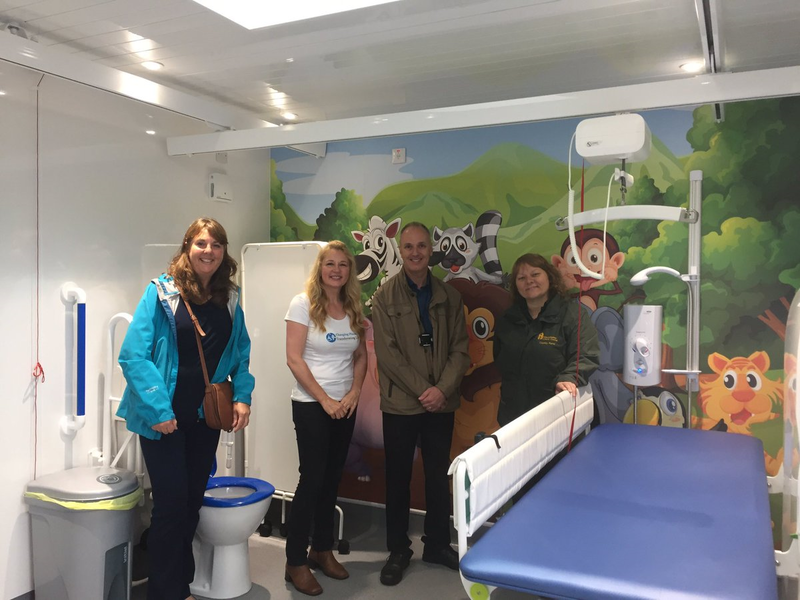 Over 30 people braved the rainy weather on Tuesday to attend the official opening of Kingsbury Water Park's new Changing Places Toilet at Broomey Croft. Fortunately for attendees, the rain stopped just at the right time! A few speeches & the cutting of the ribbon was followed by a lovely buffet, provided by the Granary Tea Rooms. 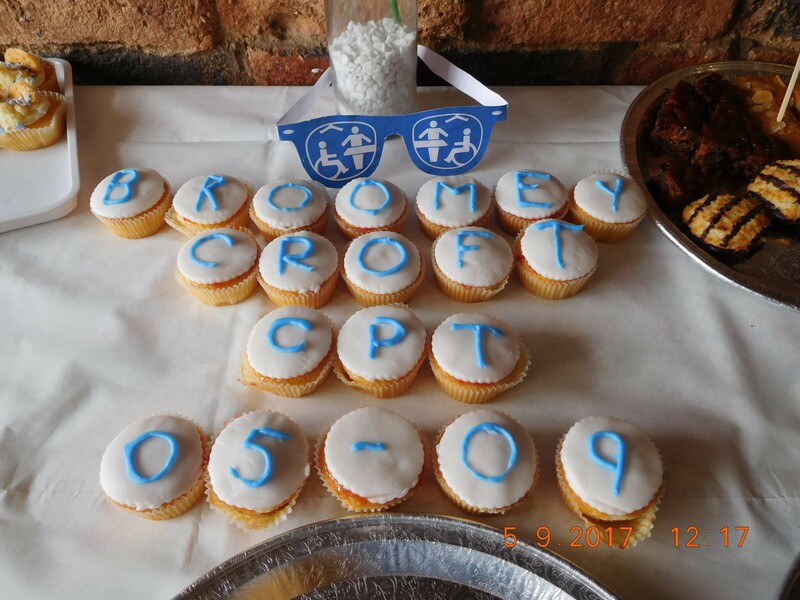 Thanks to Denise & staff for the wonderful food (especially the fantastic 'themed' cup cakes) and to Broomey Croft Children's Farm for allowing us to spill over into their covered picnic area. Thanks also to Cllr Andy Jenns for opening the new facility and, of course, to Warwickshire County Council for installing it. Finally, a special thanks to Jane & Gillian from Accessible Derbyshire who made quite a lengthy trip to join the celebration. They both spoke movingly about the difference that Changing Places facilities can make to families affected by disability and both were so passionate about the campaign that their enthusiasm couldn't help but rub off onto everyone present! Thank you to the KWP volunteers for putting in our long-awaited bird information board today. It looks great......and the birds clearly agree! We'd also like to say thank you to the Tame Valley Wetlands Partnership for helping with this project and for providing match funding via the Heart of England Community Fund. Kingsbury Water Park is a country park in North Warwickshire, England, not far from Birmingham and lying besides the River Tame on its eastern border. It is owned and managed by Warwickshire County Council. 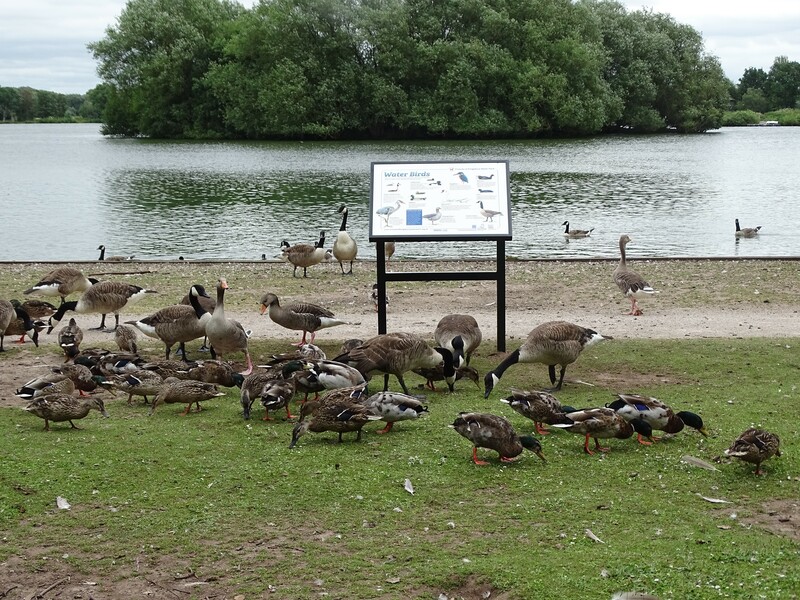 It has fifteen lakes situated in over 600 acres (2.4 km²) of country park. It is renowned for its bird-life, and is popular with birdwatchers. It is bordered on the western edge by the Birmingham and Fazeley Canal. The setting up of the Water Park, from when planning permission was agreed in 1973 up to the day of opening, May 24th 1975. Money for the project came from the County Council and from a grant provided by the Countryside Commission. The gravel pits had been identified as a suitable area to develop following the 1968 Countryside Act which gave councils the power to establish country parks. It was decided that Kingsbury was a suitable area to develop lakes which would ‘slow down’ the flow of water that was brought, via the Tame, from Birmingham’s conurbation into the River Trent to the north. Up until that point the River Trent had the reputation for being the most polluted river in the country and, as a major supplier to the city of Nottingham, the water authorities were anxious to promote any scheme which would help to reduce the debris flowing down. In 1979/80, with the advent of the M42, the Water Park acquired land north of the motorway where the Nature Reserve was established. The caravan used in the Nature Reserve by the West Midlands Bird Club was eventually abandoned due to flooding and vandalism. The park has also 'grown up'; from just 2 lakes in 123 acres to 15 lakes in 620 acres; from 50,000 visitors in the first year to 370,000 in 2012.The transformation from worked-out gravel sandpits to the beautiful landscaped park of today is amazing. Stroll along the flat surfaced paths, explore hidden corners, spot birds and wildlife, hire a bike, join an organised event or host your own event. Whatever your idea of a countryside visit is, you will find it at Kingsbury. Throughout the park are a number of bridleways and footpaths. There are a variety of opportunities available for water-sports, including water skiing, jet-skis, power boats, sailing and model boat racing. There is also a 7¼" gauge ridable miniature railway known as Echills Wood Railway. It is run by enthusiasts, who provide a 2 km loop, running a selection of steam, diesel and electric trains. Normally, the railway is open every Sunday, all weekend when it is a Bank Holiday weekend, and during Warwickshire school holidays they will endeavour to run on Wednesdays and Fridays, subject to sufficient staff.